I have always been incredibly interested in natural beauty remedies for as long as I can remember so when I received an offer from Danielle McIntosh to narrate her new book, Natural Beauty Tips from Celebrities, I was immediately enthused. 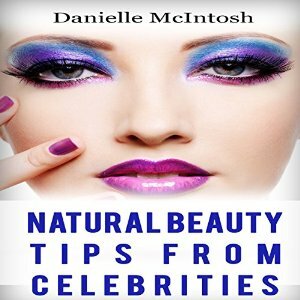 Throughout this informative book Danielle shares natural beauty tips not only from celebrities, but also from top hair stylists, nutritionists, make-up artists and fitness experts from around the world. If you have been searching for a comprehensive guide to enhance your own beauty naturally, check out this new listen! Natural Beauty Tips From Celebrities is now available on Audible and Amazon.com. To hear a sample, just click on the link. This entry was posted in Audio Books, Narration, News, Press and tagged Natural Beauty; Beauty Secrets; Beauty Tips from Celebrities; Susan Hanfield; Beauty Book; Danielle McIntosh. Bookmark the permalink. ← Get ready for the Second Formic War – THE SWARM is now out on Audio!